That is very interesting and informative. Thanks, Marcus! 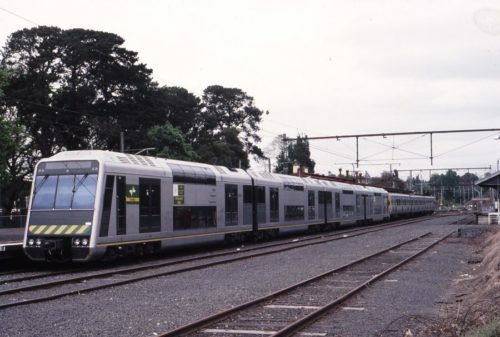 Sure, considering only the station and Donnybrook Rd, it likely is not economically feasible to elevate the many railway tracks but there would surely be more issues than this along the stretch of urbanised track. Elevating or lowering the railway would be far more painful, given that the main Melbourne-Sydney line runs through there. Yes, that could be much easier. It appears suitable. Hopefully, there’ll be many similar crossings along there. However, would the new main sewerage pipe parallel to the tracks prevent it? That pipe and reservation are mentioned throughout the Donnybrook report as major restrictions on possible designs of the new station. Heh. Was wondering if Williams Landing was going to make an appearance in this post. That would have to be the longest ramp in Melbourne, given the fact that it doesn’t turn back on itself anywhere. In last week’s Star Weekly there is an article about installing new lifts at Watergardens (again! ), which says that they are going for lifts instead of ramps due to the length the ramps would have to be. The lifts were announced last year, but have been an issue since 2016 at least. Good read, now I know why my own station has 7.1m clearance. They should have travelators at Williams landing, the ramps are so long! Interesting that the Inland Rail corridor runs Tottenham to Albury – not from the Melbourne Docks. 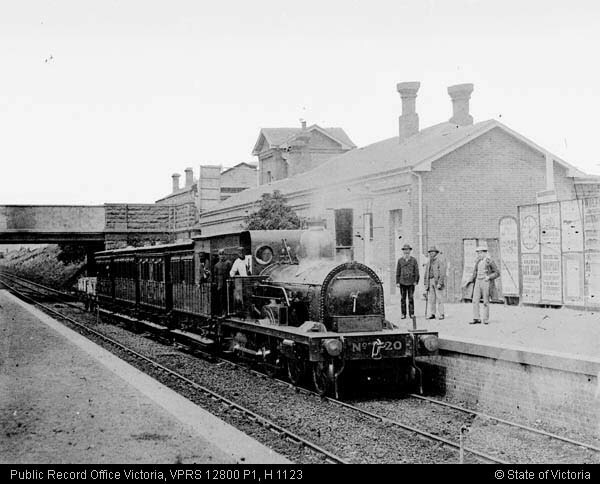 The standard gauge tunnel from Footscray to the Maribrynong river must have been too much of a challenge to make take double height trains! 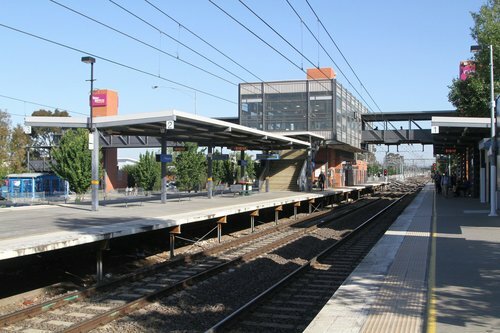 This seems sensible to me as the Tottenham yard can be used to consolidate two single level container trains to one double height train, before the double height train leaves for Perth, Sydney or Brisbane. I’d assume the only way to lower the tracks through the tunnel would be to dig up the road above for the second time! 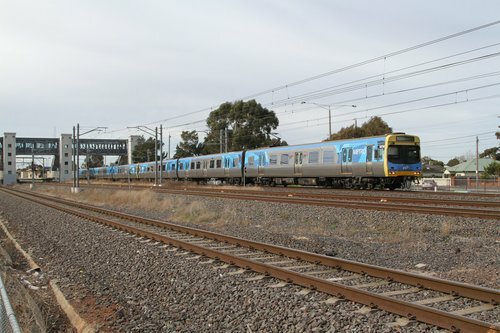 As for remarshalling double stack freight trains, in Adelaide trains headed to/from Melbourne have their second level of containers added/remove for the trip west to Perth. 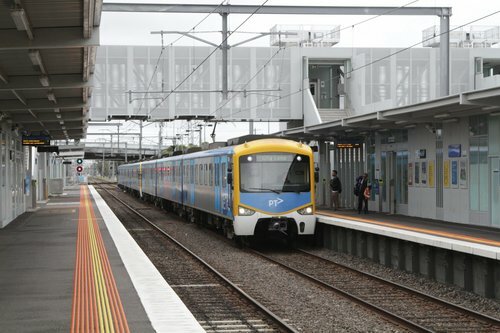 It’s funny when they ignore those guidelines whenever they are too hard to meet – just look at the pedestrian subway at Southland station, opened in 2017. Interestingly, Operators Group VRIOGS 002.1 standards (Table 3.0, pg. 20) recommends that an underpass is provided instead when overpass would be more than 5.7m over rail and no engineering or space constraints otherwise (ie. Flooding concerns). I don’t know how high the bridges are at Southern Cross, but they are too tall. There should be an underpass, much quicker to change platforms, 2 metres down not 7 metres tall. It is also absurd that there is no down escalator near the north east corner of the station. 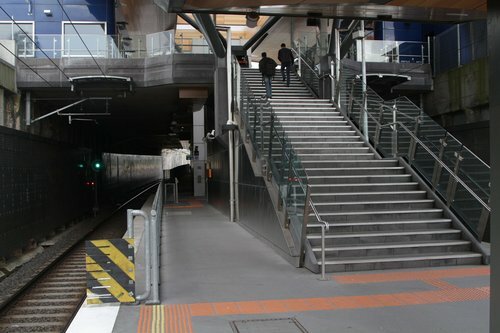 The concourse at the Bourke Street end is far lower – it was built first in the late 1990s while the old station still existed, when the limiting factor was being able to get the Spencer Street end back down to ground level. 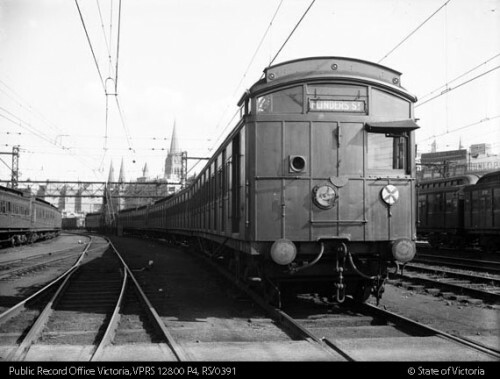 The Collins Street concourse was designed to be level with the Collins Street Extension – and that bridge was designed by the Docklands Authority to provide a smooth transition from the Hoddle Grid into what was then wasteland. Southern Cross does have an underpass…but we’re not allowed in it.